In a post on the official PlayStation blog, Insomniac Community Manager Bryan Intihar detail the changes coming to Resistance 2 when patch 1.40 is deployed on January 26th. Most importantly, patch 1.40 for Resistance 2 will see the return of levels to players who have had there level reset back to 1. Players who had the misfortune of being reset will not only gain back what they lost, but also keep all of the experience they've received since the reset occurred. Huzzah! There's also some changes to trophies, including a fix for the bugged "Killing Machine" trophy that wasn't being rewarded to players who achieved 10,000 kills. They're also balancing the hell out of the game, adjusting Medic-class XP gain in co-op and (thank goodness) preventing parties from joining free-for-all deathmatch games. 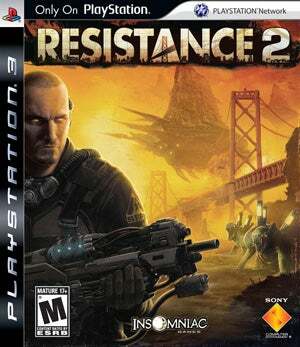 Check out the link below for a full list of the improvements coming to Resistance 2 on Monday.